Last week at work, a lady ended up bringing her daughter with her to her dental appointment. Her daughter sat quietly over in the corner reading a book while I treated her mom. At some point the young girl, less than 8, started asking me questions. Everything from why I have a mask on to what I was doing to her mom. So I could stop answering so many questions (which all led to more ”why’s”) I started asking her questions. Given the time of year, I asked her if she was getting excited for Christmas. She immediately brightened right up and exclaimed, yes. We started chatting about the crafts she was making in school and what she was going to ask Santa for. My daughter being only 18 month old, I was curious to know what she was asking for and what she expected to get. 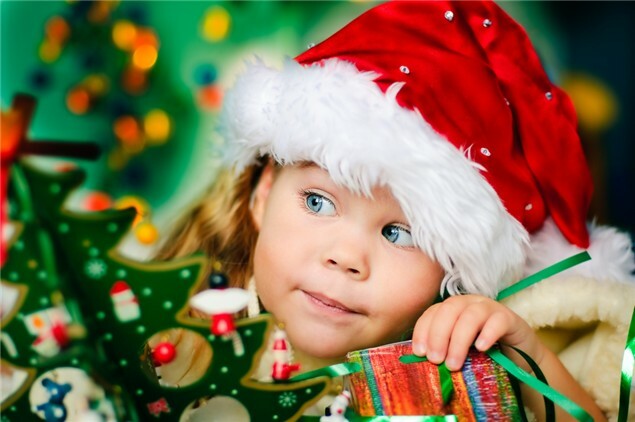 She explained that her mom told her that Santa only has room for three presents in his sleigh so she had to think carefully about what she wanted. I though the three present limit was a good idea. We all know how out of control children’s lists can get, which can, in turn lead to disappointment. The little girl explained that since she’s only allowed to ask for three gifts, unless they were really big, ”like a horse” she would get them, no questions asked. I thought it to be interesting to know the same parent who set the three gift rule had her daughter to believe whatever she asks for within her three gifts, except horses would be given to her. The little girl asked for, and expects to receive an iPad, $100 cash to shop with and a new Xbox one. What?! Obviously I couldn’t really comment beyond, ”that’s a big list” since I wasn’t about to ask mom how she planned on doing that but to me, this list seems crazy to me. Again, I only have one child who is very young but she will not be raised to believe that Santa or mom and dad, will be providing close to $1,000 worth of gifts. Even if you’re not a religious person, my opinion is that Christmastime is meant to be a time of year when we slow down, reflect on what we have, share gifts with ones we love, and reminisce. Simplify our lives for a few days, enjoy good food, bake cookies from scratch and focus on building memories, not things. I think it’s important that if you’ve decided to make gifts apart of your Christmas tradition, guidelines, or rules be set in place. The earlier you start the easier it will be. Setting a gift limit. Either in volume or price. If you set a three gift limit from Santa make sure they understand they are realistic with it. If you think it’s appropriate that they ask for a $400 gaming console, make sure they know the couldn’t possibly ask for both an iPad and cash as well. For older children, let them know early on that mom and dad have a Christmas budget to work with and they may not get everything they want. Get them involved. Have your children help you shop. Have them shop with you for another family member and let them know the budget. Have them learn what that money can buy. This will help them have a better understanding of what they can ask for and what they may receive. Open discussion. Especially with younger children, who’s understanding is still very much forming, help them with things like writing their letters to Santa. Explain that they may not be able to get everything they ask for. Gift swap. This works especially well in larger families. Everyone draw someone’s name and you’re only responsible for gifts for that one person. Reminders. It’s so easy to get caught up in the commercialism of Christmas. Remind your kids, and self, on a daily basis what the true meaning is (which may vary between individuals an families). Memories,not things. I have had very sparse Christmases (in terms of gifts) and had years with more gifts that imaginable. I never feel any different about the season. I was taught early about the real meaning and to hold onto memories as much as I can. Learning to enjoy the simpler things in life will go a long way, even when Christmas is over for the year. What are your thoughts on setting realistic gift guidelines? 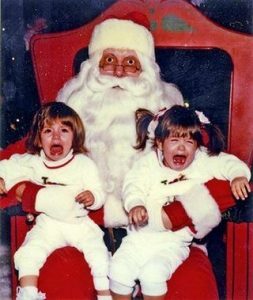 What is it about Christmas that just brings out such glee in kids? Is it the wonderful, beautiful lights that festoon every lamppost or anything upright for that matter? Is it the entry of seasonal, very delicious meals? For kids, Christmas time is Santa time! The moment my tree comes out of hiding at home, my kids automatically do their own short versions of Balki Bartokomous’s ‘Dance of Joy’ (age hint here). It is such a funny thing to see and truly the excitement from them is fantastic. Then the pressure sets in and I start to feel all the responsibility attached with Santa Claus and making sure they have a memorable Christmas. This year, I started to think about this tradition. What is it really? Where did it come from? And how do I divert the seemingly mindless consumerism of the idea of Santa Claus to what Christmas should truly mean? I did some research first (naturally) and this is what I found. Basically, it appears that the current tradition of Santa Claus and gift-giving is in fact a mix of ancient Greek folklore, Germanic Paganism, and Dutch folklore. The figure of Santa Claus can be derived from a combination of the Greek Saint Nicholas of Myra, a Christian saint known for giving generously to the poor, who is also the basis of the Dutch Sinterklaas, and the Germanic god Odin who was known to ride his eight-legged horse Sleipnir over great distances and giving gifts to children who would leave carrots and treats for his horse to nibble on as he passed their chimneys. Sinterklass is a stately old man who gives gifts to well-behaved children, and Odin is known as an old man with a long white beard. Over the centuries, all these figures appear to have merged together to become the Santa Claus of today. Of course, thanks to Coca Cola, we have the ubiquitous jolly, round, old man with a long white beard, in a bright red suit. All in all, the main theme of what are the supposed origins of the current tradition is giving and this is what I want to focus on this year. I am trying to teach my kids that this is the season for giving- giving to the people you love as an expression of love, to your friends as an expression of friendship, and not so much in expectation of something in return. I have started asking them what they want to give their friends and cousins and aunts and have tried to tell them that it does not matter what they get if they get gifts and that the important thing is that they are able to show friends and family their love and friendship. Now, I don’t want them to be too materialistic so I tell them that they don’t need to buy anything expensive to show how they feel and that they can make their gifts too. Of course, I don’t want to be a complete Scrooge and take away the joy of wishing for favorite toys so I have also asked them to make their list to Santa but I have told them that he won’t be able to give everything on the list because he has to give other children gifts too and that it is still great if he gives them one or two from their list, to which they expressed satisfaction. What do you guys think? Too Scrooge-y or over-thought? 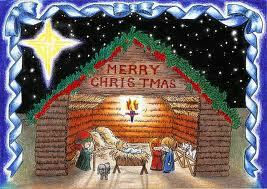 What are some of your thoughts about the meaning of Christmas, beyond the lights and the commercialism of it all?